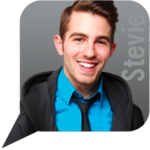 Stevie: I started recording the events of my life on my blog StevieNYC.com almost four years ago, talking about my experiences as a young gay New Yorker. Starting OutSpokenNYC with the boys has been a new dream come true. Interests include bacon, The Spice Girls, anything teal, and whipping my hair back and forth on the dance floor. 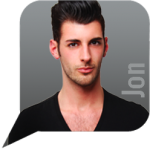 Jon: I am a self-proclaimed “Jack of All Trades,” with a diversified portfolio in theater, entertainment, PR and marketing. A creative mind with a knack for pop-culture, you can find me on-the-go down 9th Ave. or jamming out to my iPod while running the Central Park reservoir. I couldn’t be more thrilled than to be part of such a unique team. Loves: Bikram, Twitter, dark comedies, dark chocolate and a good challenge. 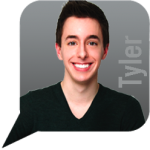 Tyler: I am a lifestyle/luxury publicist and the creator behind the fashion & lifestyle website, Hauteandthecity.com. I live on the Upper West Side with my boyfriend of 4 years and our hairy mop of a little son named Nathan. Interests include pop music, coffee & Bergdorf Goodman. 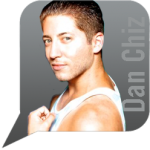 Dan Chiz: Despite what many people may think, I was not born with an iphone in hand. Though I sure acts like it’s another appendage. I am such a social media addict (understatement) that I have made it my career. I love to dance and some may call me a professional booty dropper. Usually I am on the floor to Britney or GaGa. I am always the token pocket gay and I love style. 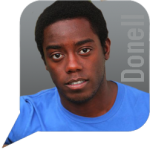 Donell James Foreman: After traveling the world performing, I am back in The Big Apple and ready to plant my flag and set up shop for awhile. I’m back in college and tying up a bunch of life’s loose ends. I can be found catching a Broadway show, catching some Zzzs (I love my naps), or catching up on one of the 17 shows I have set on my DVR. I’m pop culture obsessed and an avid people watcher. Oh, and I often crave waffles and milkshakes.